perforated shading screen with standard shading systems. Energy and Buldings, 50, 166-176.
lighting, reduction of cooling load. Renewable and Sustainable Energy Reviews, 41, 1–13. Greenup, P., Edmonds, I., and Compagnon, R. (2000). Radiance algorithm to simulate laser-cut panel light-redirecting elements. Lighting Research and Technology, 32, 49–54. Grobe, LO. (2017). Computational combination of the optical properties of fenestration layers at high directional resolution. energy-efficiency goals: An evaluation of exterior coplanar shading systems using complex fenestration modeling tools. Energy and Buildings, 112, 279-298.
a South-facing window for spatial Daylight Autonomy. Building and Environment, 102, 243-256.
data. In Proceedings CISBAT 2011, 349-354.
fenestration systems including high incident directions. Journal of Facade Design and Engineering, vol 5, no 2.
solar gains through complex facades in building simulation programs. Energy and Buildings, 43, 19-27.
performance of optically complex fenestration systems. Journal of Building Performance Simulation, 6, 24-37.
offices. Building and Environment, 113, 280–297. Mohanty, L., Yang, X., and Wittkopf, S. (2012). Optical scatter measurement and analysis of innovative daylight scattering materials. redirecting component. Buildings, 6, 30. Lee, E., Michel, L., Scartezzini, JL., and Selkowitz, S. (2000). Daylight in Buildings - A source-book on daylighting systems and components. Lawrence Berkeley National Laboratory. Schregle, R., Bauer, C., Grobe, LO., and Wittkopf, S. (2015). 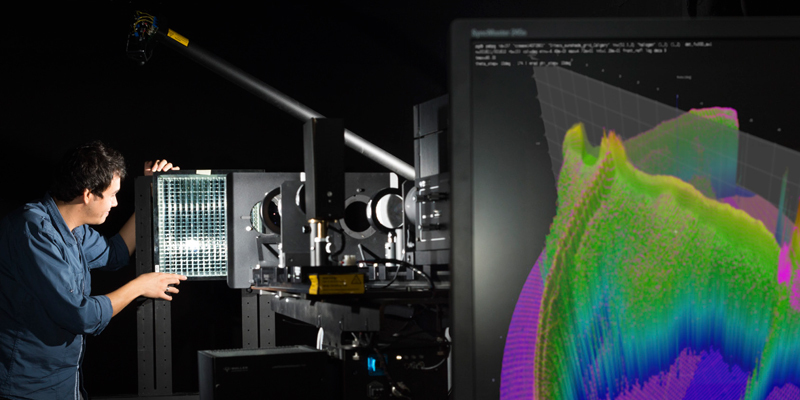 EvalDRC: A tool for annual characterisation of daylight redirecting components with photon mapping. In Proceedings CISBAT 2015 Future Buildings and Districts Sustainability from Nano to Urban Scale, 217-222. Building Performance Simulation, 9, 620-632. Ward, G. and Shakespeare, R. (1998). Rendering with Radiance. Morgan Kaufmann Publishers, 579-580.
systems using bidirectional scattering distribution functions within Radiance. Leukos, 7, 241-261. Ward, G., Kurt, M., & Bonneel, N. (2012). A practical framework for sharing and rendering real-world bidirectional scattering distribution functions. Technical report, Lawrence Berkeley National Laboratory. GROBE, Lars Oliver; WITTKOPF, Stephen; KAZANASMAZ, Zehra Tugce. High-resolution data-driven models of Daylight Redirection Components. Journal of Facade Design and Engineering, [S.l. ], v. 5, n. 2, p. 87-100, may 2017. ISSN 2213-3038. Available at: <https://journals.open.tudelft.nl/index.php/jfde/article/view/1743>. Date accessed: 19 apr. 2019. doi: https://doi.org/10.7480/jfde.2017.2.1743. daylight simulation, data-driven model, BSDF, Radiance.